Joseph is three and to celebrate we had a little party for him and his friends. He has a few simple passions, and loves the idea of robots, painting, the colour orange, eating fruit, and how things work. 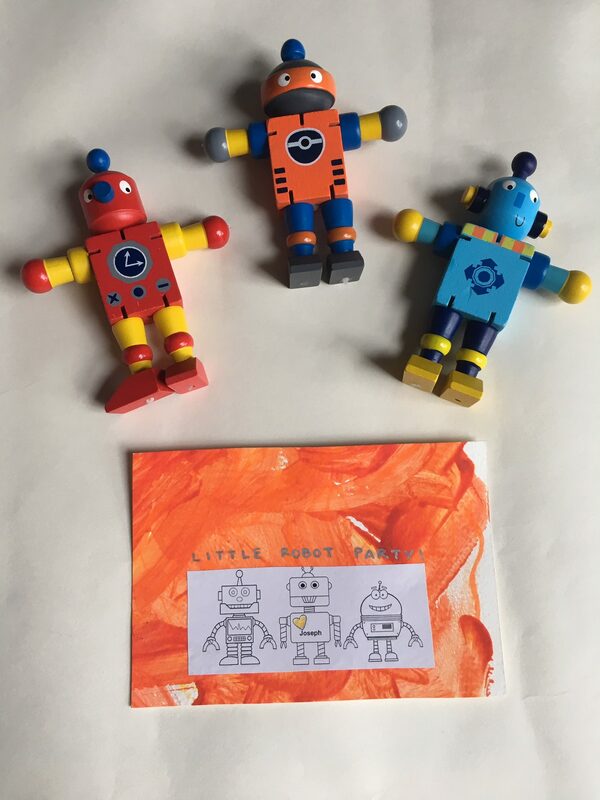 So that is just what we did — a little robot party, with orange decor, handprinted invites, and lots of yummy treats. Unfortunately, we were not greeted with a good day of weather despite a week of sunshine! 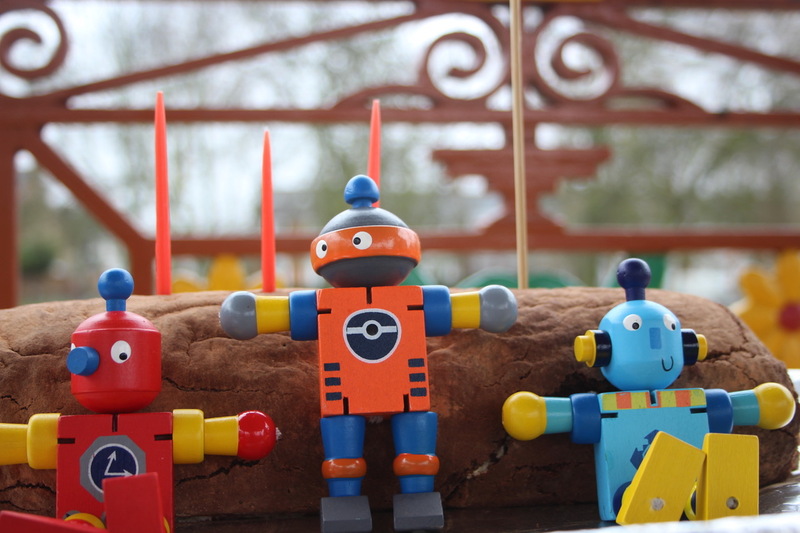 But we kept from having rusty robots by heading for cover under our park’s bandstand. March weather is all or nothing in the UK. 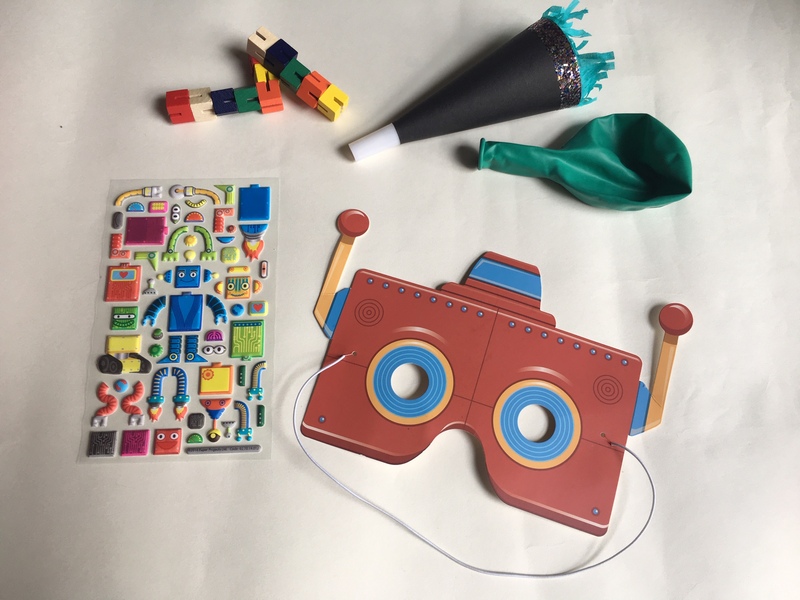 But the party was simple and fun, and here are a few ideas if you decide to recreate a robot party for your little ones! 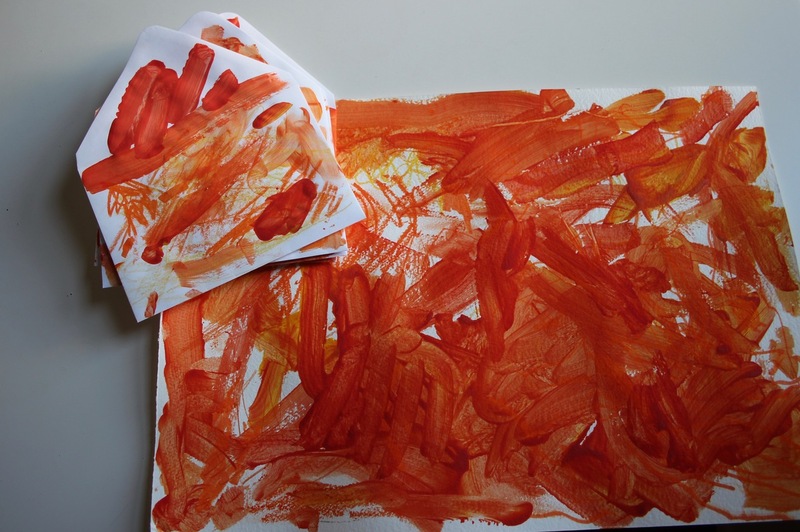 Orange painted invites, with silver pen, and glued-on robot graphics set the theme. We then made simple orange favour boxes for the twelve kids who attended. 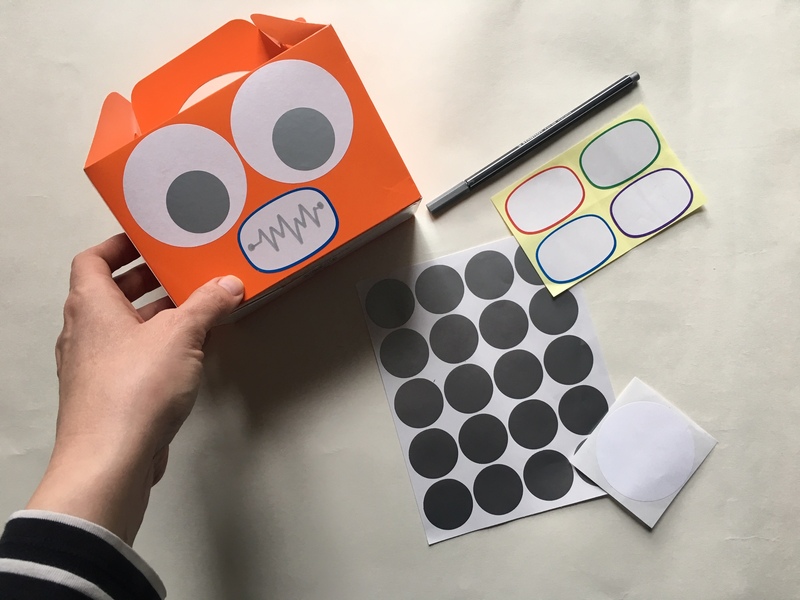 I loved the simple use of different shaped stickers to make the robot faces on the boxes. Inside, we had build-your-own robot stickers, wooden stacking square puzzles, robot horns, and a few other tricks! 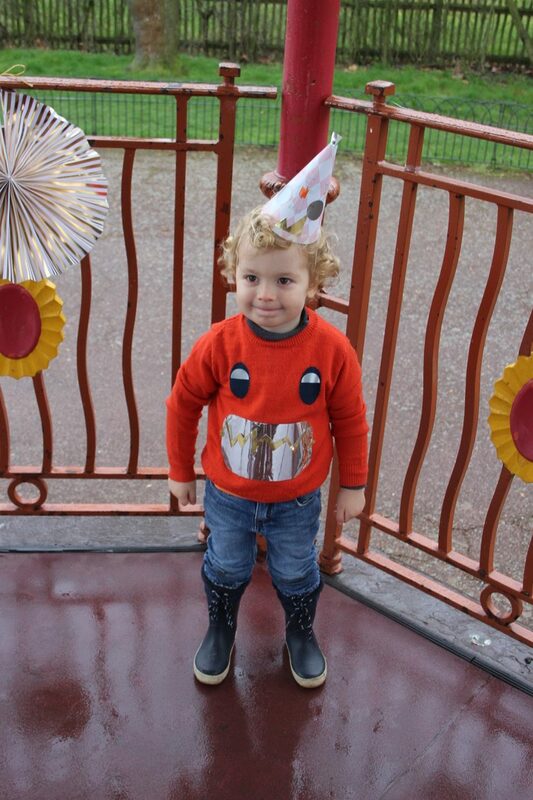 I embellished a jumper he had, and made it into a robot face. 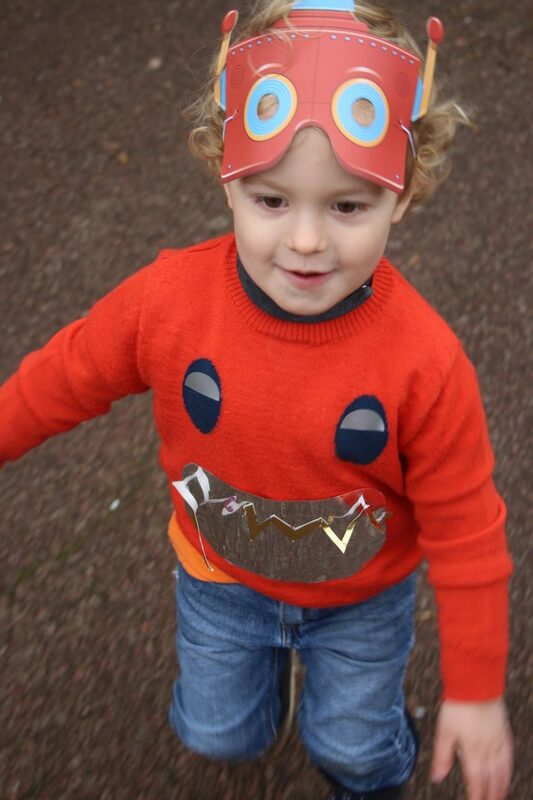 Fortunately it could all come off, since it was just paper stuck on, and he could wear it again, but he loved having his own bespoke jumper to keep him on theme and warm! 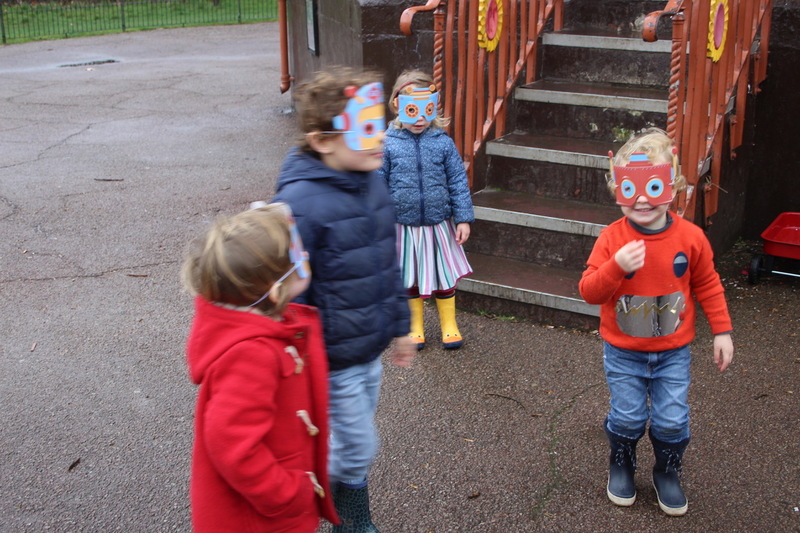 We loved these paper robot masks, and the kids could colour them in on the backside which has lines for different shapes etc. 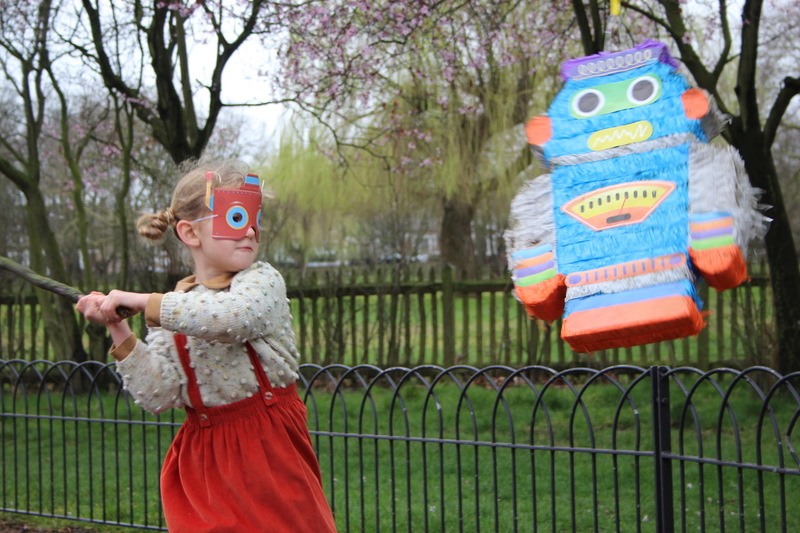 A robot pinata was super fun! We filled it with raisins, dried fruit, balloons, and a few sweets. The kids loved doing the pinata. We kept the games simple for three year olds. 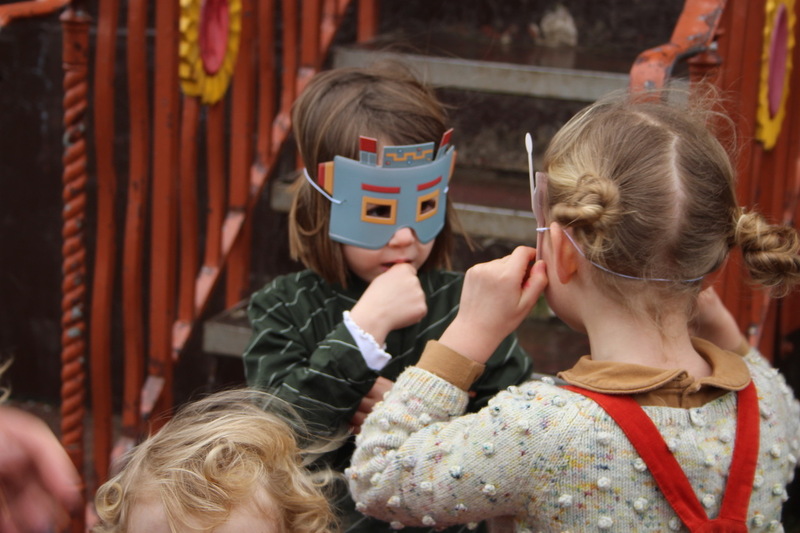 Playing pass the parcel, having ‘walk like a robot races’ and the pinata too were easy wins. 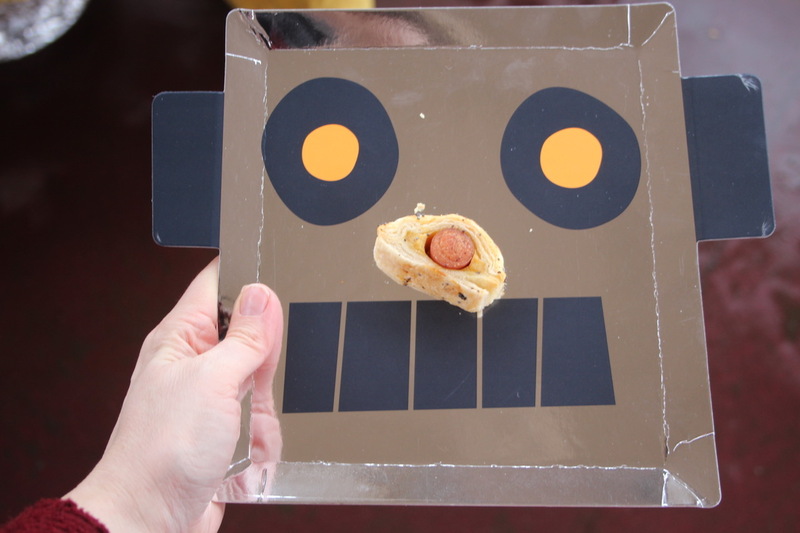 These robot plates were cute, and although we couldn’t easily avoid disposable items for eating on, we did make sure the food was all handmade and on reusable wooden containers. 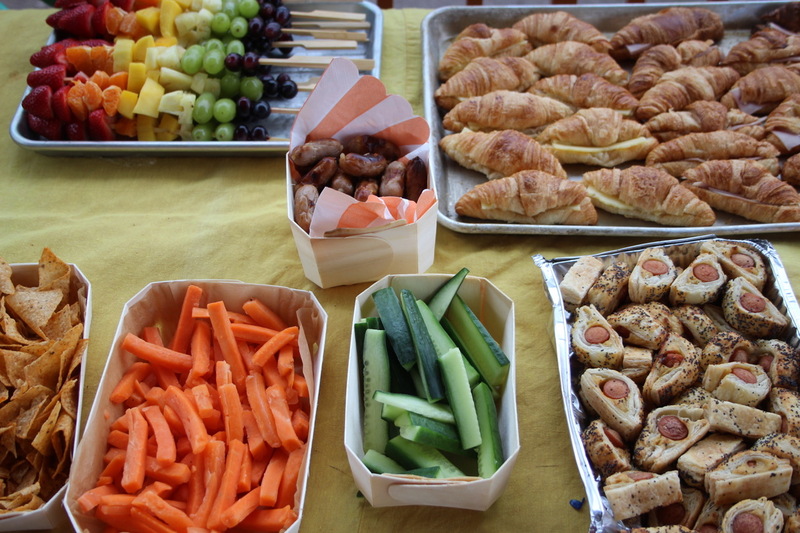 Rainbow fruit kebabs, sausage rolls, mini croissant sandwiches, all very yummy. I love this new cake recipe I tried out which was a big chocolate roll with whipped cream. We used our wooden robots and made a number three sign for them to hold. And I also made this 1234 birthday cake from Courtney. So very delicious with raspberries added in, and why not have two cakes instead of one? It was a fun theme to work with, and had the weather cooperated, I had a few more ideas and games, but sometimes you just have to go with it!